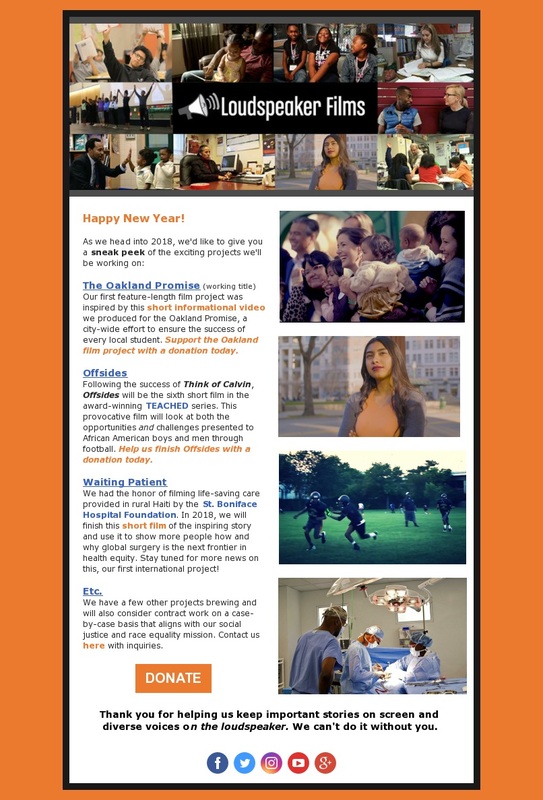 Posted on June 11, 2018 by Loudspeaker Films presents TEACHED and filed under TEACHED Films, Updates and tagged teached oakland Oakland Promise indie film think of calvin Loudpeaker Films. Posted on April 21, 2017 by Loudspeaker Films presents TEACHED. We are SO excited to be a part of Tech Equity Week, which was founded by Qeyno Labs in partnership with the Rainbow PUSH Coalition. Qeyno Labs was founded by Kalimah Priforce, who was the inspiration behind, and is the star of, our short film Code Oakland (watch the trailer here!). Qeyno is organizing and delivering high-impact hackathons for young people across the United States while helping to put Oakland on the map as the place where technology, transformation and social justice meet. Yeah, it's cool. There will be robot technology. There will be dinner. And two of the youth tech/film stars of Code Oakland (Isaiah Martin and Sasha Williams, who are AMAZING) will join the panel discussion after the screening along with Kennan and film director Kelly Amis. Register for this free event HERE and let us know if you attend! 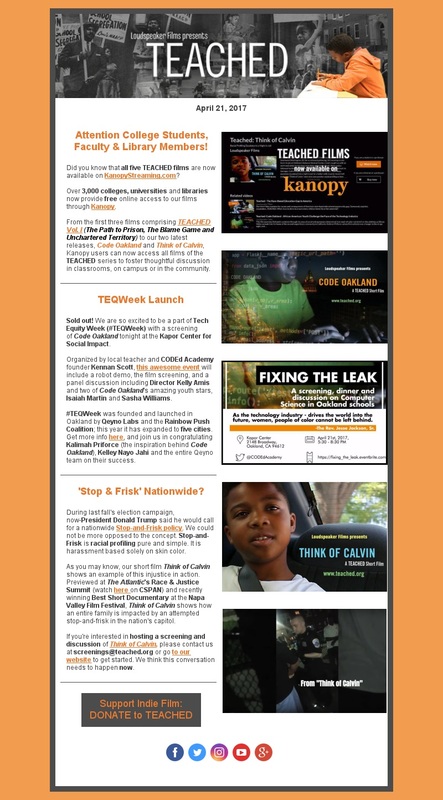 Posted on April 19, 2017 by Loudspeaker Films presents TEACHED and filed under TEACHED Films and tagged TEQuity Teachnology Code Oakland Oakland Qeyno TEACHED Loudspeaker films YesWeCode black girls code. One of my favorite Loudspeaker Films video is called "Like Father Like Son." I believe this video should be shown at schools in urban communities to have a positive influence on the young black men in my generation. 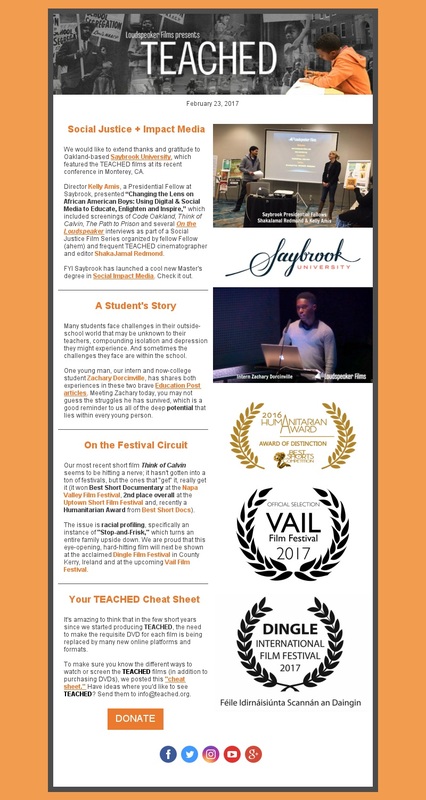 Posted on March 11, 2016 by Loudspeaker Films presents TEACHED and filed under TEACHED Interns and tagged education Education Reform unchartered territory Education Post Jason Epting Like Father Like Son.